There is a need to adopt Climate Smart Agriculture in Pakistan as a means for dealing with the changing climatic scenario, which can increase productivity in Pakistan as the country suffers from climatic extremes such as in 2011, 26 million people were affected by floods, which cost over 12 billion dollars, drought in Tharparker region of Sindh province hospitalized 21000 inhabitants with a number of deaths of infants etc. This was stated by Dr. Abrar Chaudhary, a fellow of the Said Business School, University of Oxford during a special talk on, “Climate Smart Agriculture” organized under the auspices of the Information Technology University (ITU) the Punjab’s Centre for Governance and Policy here today. The Climate Smart Agriculture assessment is a system through which different indices are factored in such as soil, climate risks, biomass and water availability, and their resulting impact on crop yield, nutritional values, and income. Dr Abrar who has been working on the topic of climate change and agriculture for a long time said that before we look at the national or global level, it was the community level where change was coming and from where the solutions would also emerge,’. 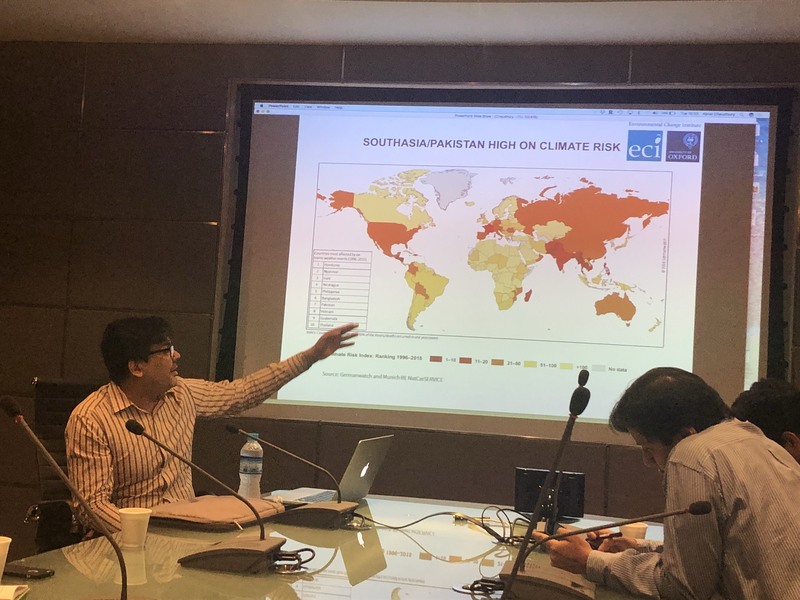 Highlighting the environmental challenges currently facing Pakistan he added that ‘World’s temperatures have increased in the last 100 years and in the last 136 years nearly all of the hot years have been recorded since 2001,’. Focusing on agriculture, Dr. Abrar said that 94% of Pakistan’s water was used in agriculture and therefore its usage and regulation was imparitive. ‘The acuteness of the situation was clear when one realized that Pakistan depends on just one Indus water system, which may disappear one day while carbon dioxide emissions was mostly thought through industrial units only but in Pakistan, ‘Over 41% of the carbon dioxide emissions come from the agriculture sector and out of which about 78% was due to livestock,’ and therefore agriculture was part of the climate change discussion, he stated. 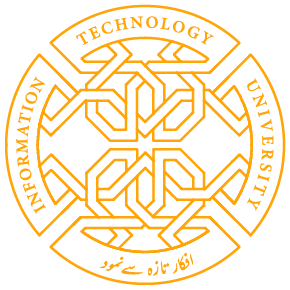 Dr. Abrar said that most solutions in the world revolve around either ‘mitigation’ or ‘adaptation,’ but an ‘integrated’ response was essential, so that we move from reactionary measures. ‘Adoption of technological innovations, like those in the Punjab, were key towards developing a more robust agricultural sector,’. He also said that we must develop drought tolerant varieties of crops, adopt seasonal planting schemes, further use crop rotation, increase the integration of organic fertilizers and heat resistant varieties, among other measures. ‘One needs to develop a holistic model to identify and promote best practices,’ emphasized Dr. Abrar, who has done comparative work on the agriculture sector in Asia and Africa. Share the post "ITU TALK STRESSES NEED TO ADOPT “CLIMATE SMART AGRICULTURE”"